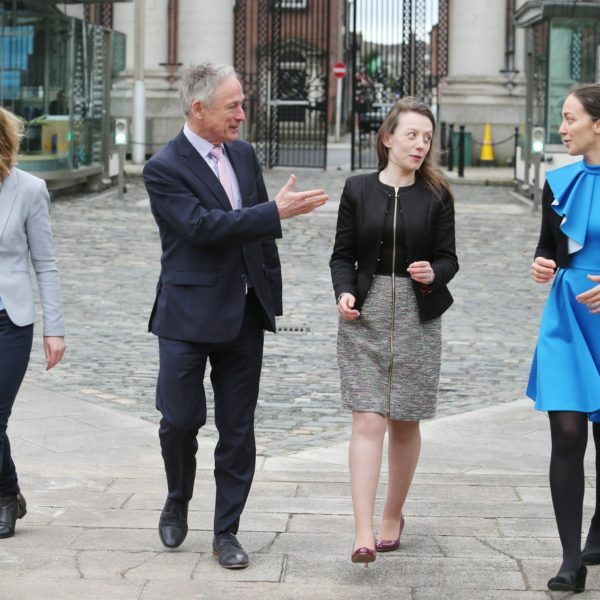 Dr. Larisa Florea from the National Centre for Sensor Research (NCSR), Insight Centre for Data Analytics, has been awarded a prestigious Irish Research Council Laureate Award. The awards are part of a move by the Government to substantially increase “frontier research” by allocating €30 million to third level institutions in 36 projects approved by the Irish Research Council. Larisa’s project aims to develop soft 3D micro-structures that exhibit biomimetic functionalities, such as programmed movement, uptake, transport and release of molecular cargo, and molecular sensing. The IRC Starting Laureate Award will fund Dr. Florea and three research students, enabling her to establish an independent research effort. 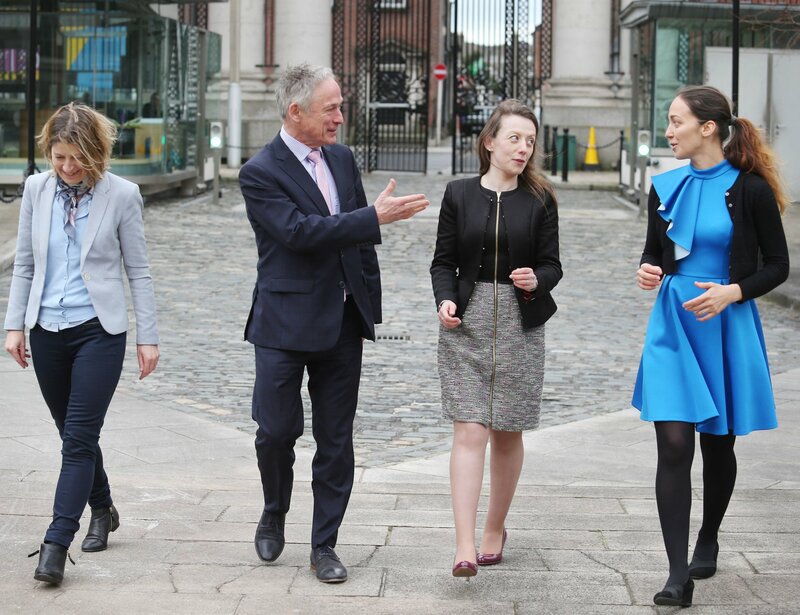 Irish Research Council Laureate Awardees Dr Larisa Florea and Dr Dawn Walsh celebrate new funding for frontier research with Irish Research Council Director Peter Brown, Dr Ronan Fahey programme manager and Richard Bruton TD, Minister for Education and Skills. 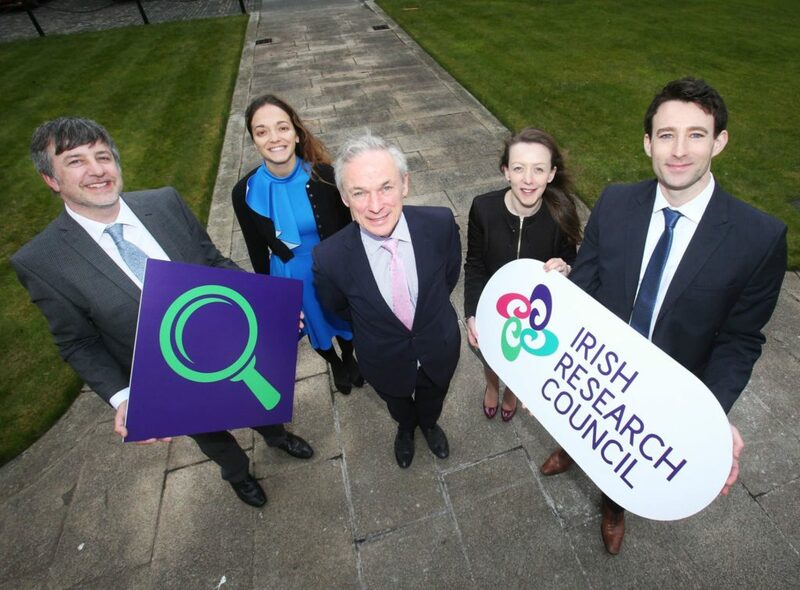 The Minister and John Halligan TD, Minister of State for Training, Skills, Innovation and Research and Development announced the new funding of €29.6 million by the Irish Research Council. 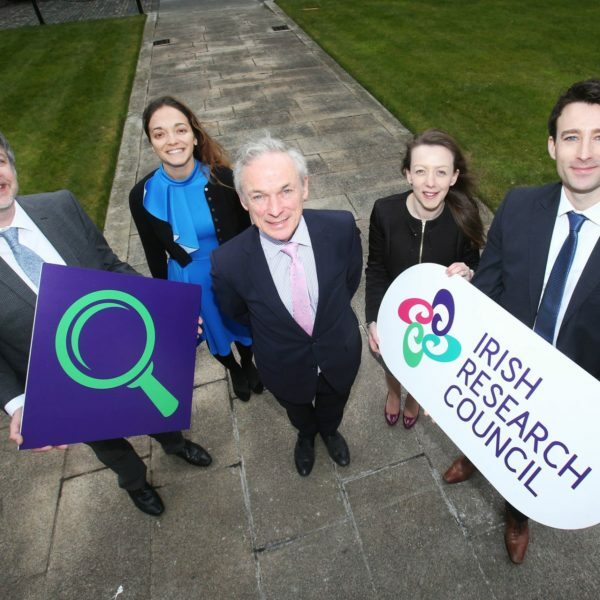 You can read more about the awards on the Irish Research Council website (http://research.ie/2018/03/22/government-announces-e29-6m-investment-in-frontier-research/) or in the Irish Times (https://www.irishtimes.com/news/science/new-30m-programme-for-ground-breaking-research-1.3438440).